This is the fourth Online Guest Lecture by members of the SCID Panel of Experts. 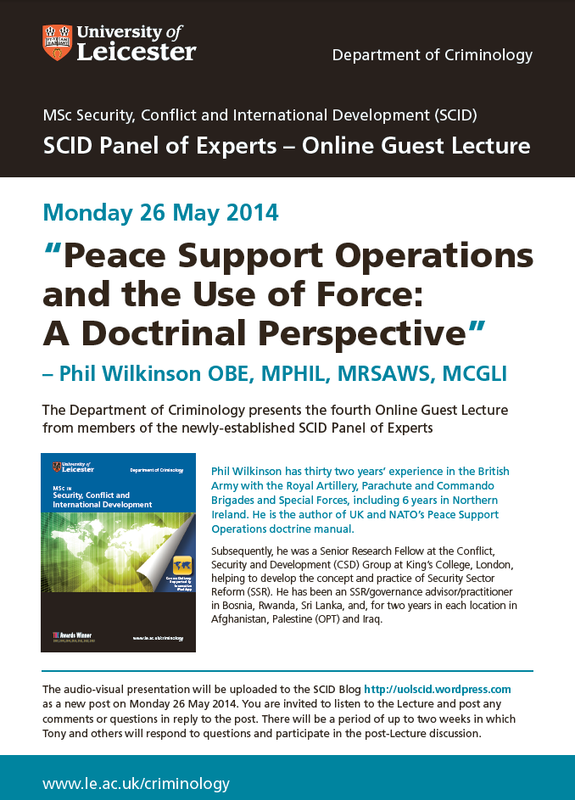 Phil Wilkinson OBE presents a lecture entitled ‘Peace Support Operations and the Use of Force: A Doctrinal Perspective’. Click on the link below to access Phil’s Lecture (it is large so it will take a while to download). Please submit any questions or comments within the next two weeks for Phil’s attention and/or discussion by other SCID Panel members, students and staff. This entry was posted in Uncategorized on May 26, 2014 by uolscid.